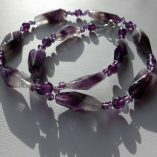 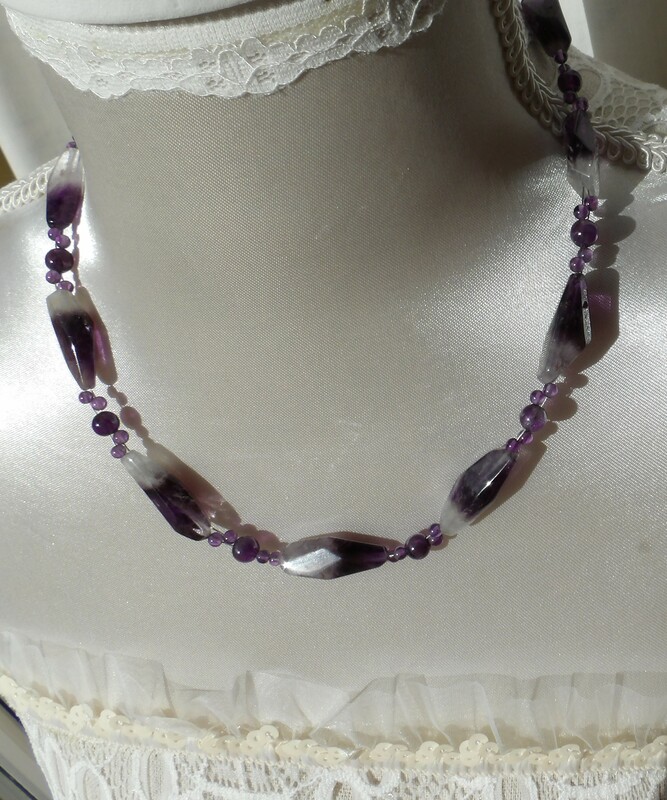 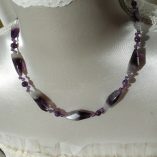 This unusual necklace is made with long, bi-colour amethyst weaved on two strings with 6mm and 3mm rounds. 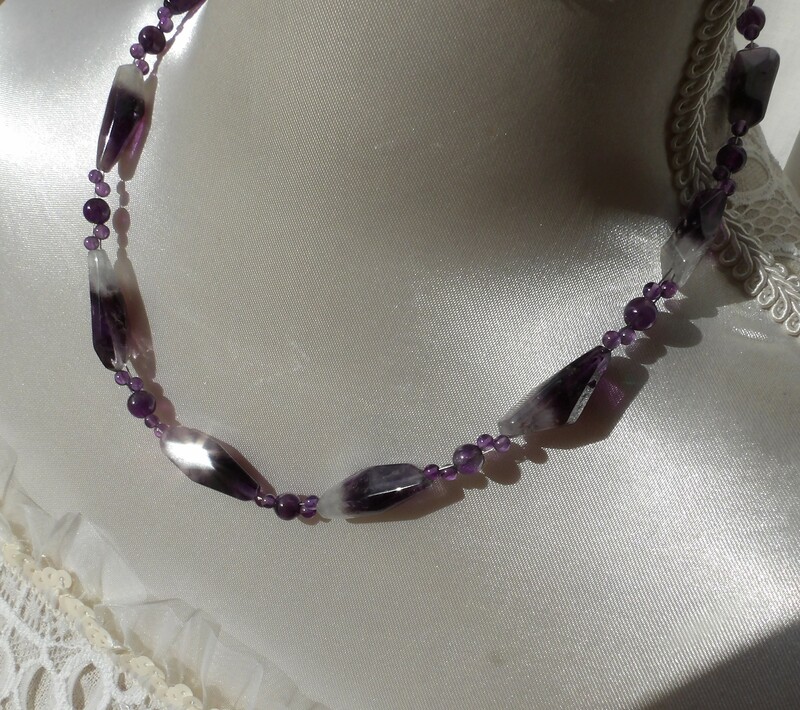 The necklace, which measures 48 cms (18.5 inches), is finished with a sterling silver bolt ring clasp. 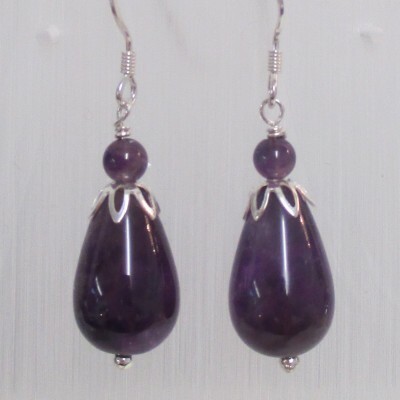 Amethyst, February’s birthstone, is a very popular gemstone – both for its beauty and for its properties. 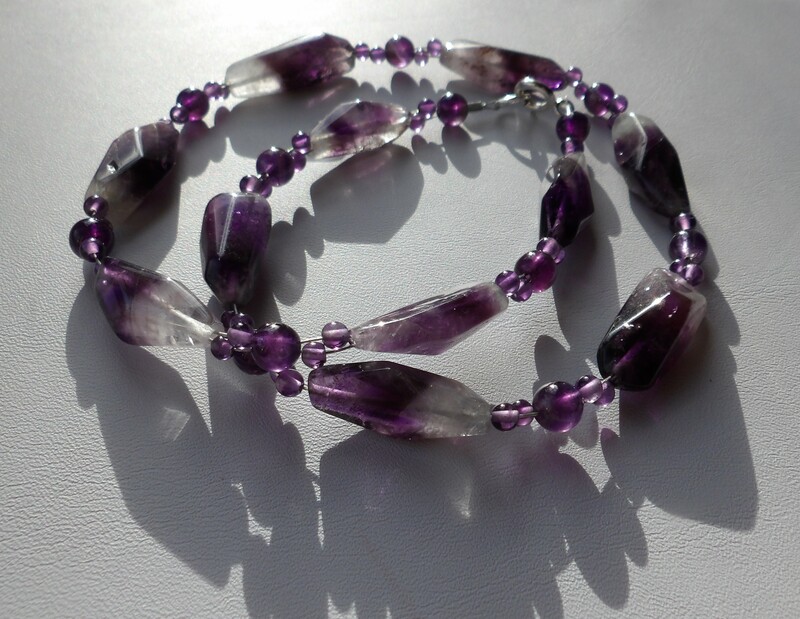 In crystal healing, amethyst is believed to ease pain, reduce stress, strengthen the immune system and be good for the heart. 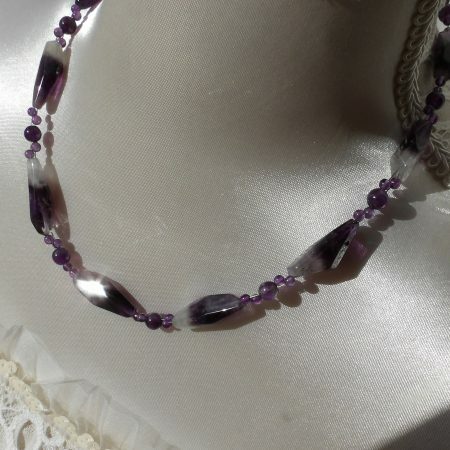 Known as “nature’s tranquilizer”, it is also said to bring contentment, calm and peace and to help remove bad habits.